This block was given as a gift to the Lonnie Palmer family by the Josh McKelvy family. The farm, located where Alpine Road crosses Pigeon Cove, was the home place of Charlie Palmer. Three succeeding generations have farmed the property. 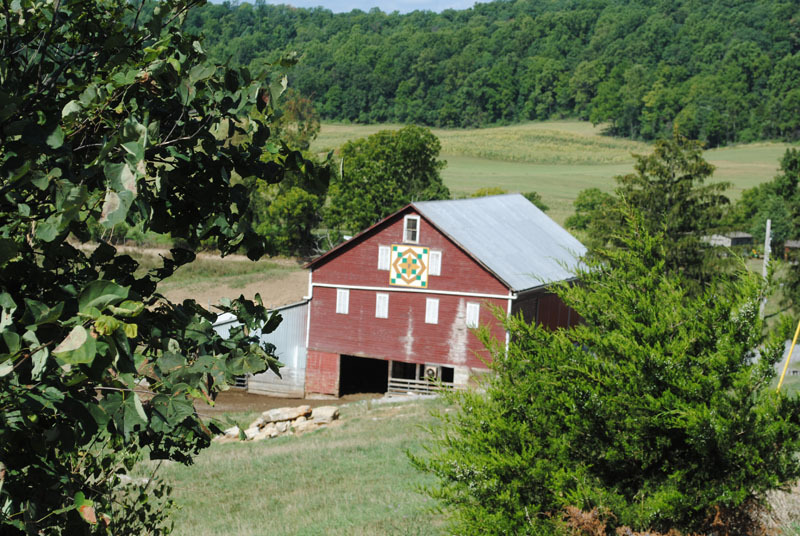 The stylized “P” in the center of the block can still be found on the doors of the farmhouse. The brown on the block represents the spring plowing, the green the summer crops, the gold the crops ready to harvest, and the blue the cold winter nights. The cross represents not only the crossroad location but also the strong faith of the families who have lived here. Pictured are the McKelvy family children.